In this volume, get up close and personal with Earth's nearest neighbors—Venus with its acid rainstorms, Saturn and its rings of ice, and the heart of it all, the Sun. Humans have always been fascinated by outer space and we’re learning more about our solar system every day. Did you know that our Solar System was born from a cloud of cosmic dust? That Jupiter’s red spot is really a raging storm? 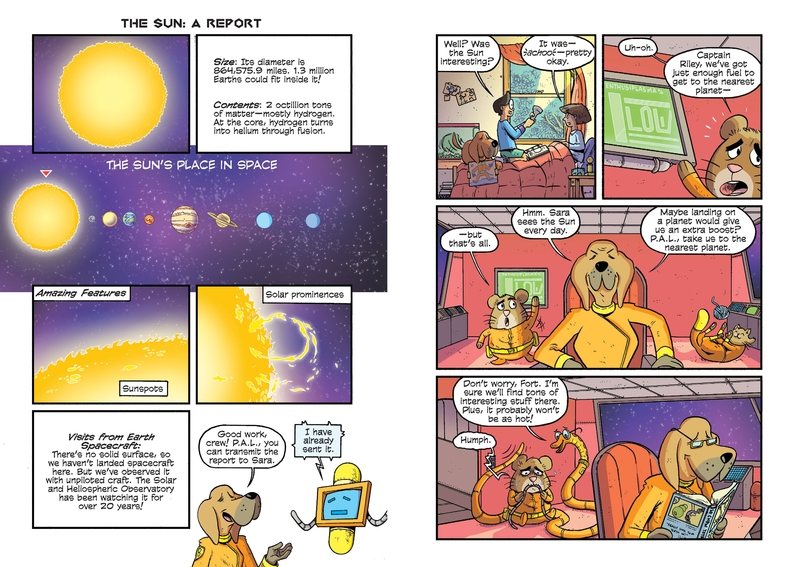 Join Sara, Jill, and their space-faring pets on a quest to learn more about the wonders of our Solar System—and beyond! 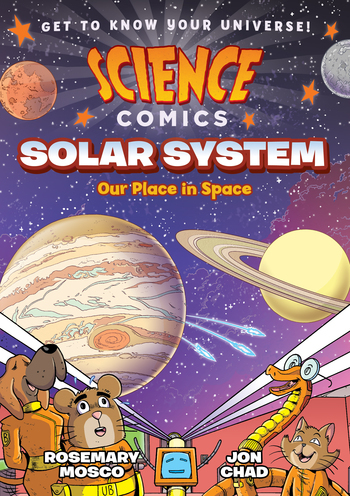 "VERDICT A story line infused with humor and drama adds particular animation to this entry in the “Science Comics” series; budding astro-tourists in middle elementary grades will happily sign up for repeat journeys.–School Library Journal, starred review. Rosemary Mosco is a science writer and artist, and she’s passionate about sharing her love for the natural world. 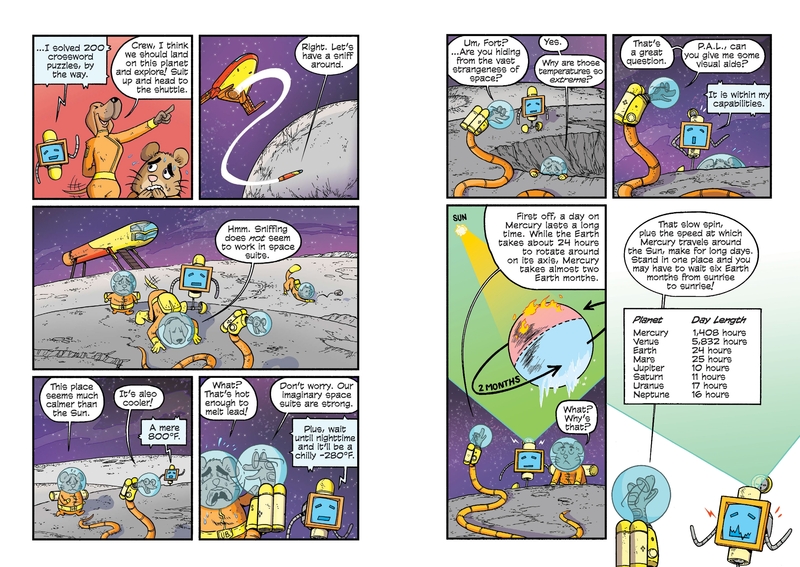 She writes and draws the science webcomic Bird and Moon and made the urban nature webcomic Your Wild City in collaboration with fellow First Second author Maris Wicks. If she could explore any place in the solar system, she would travel to Jupiter’s moon Europa. 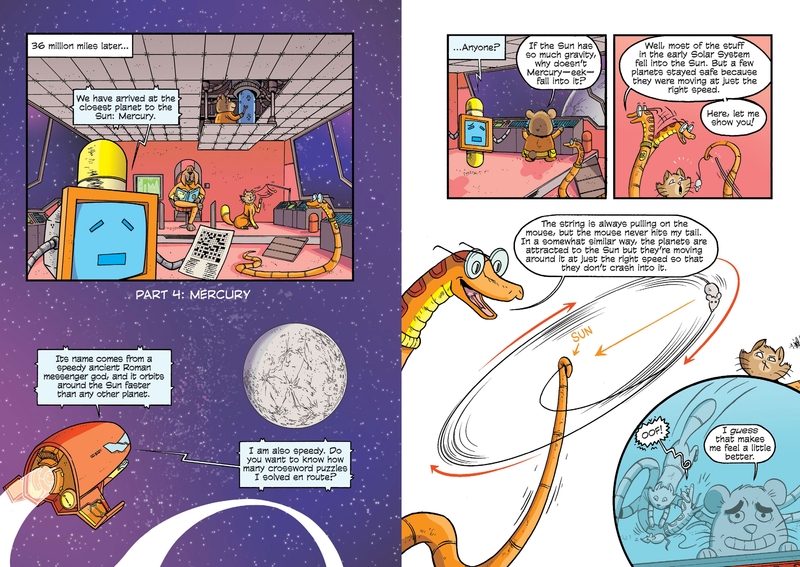 Science Comics: Solar System is her first graphic novel with First Second. Jon Chad was born and raised in Vermont. After completing the BFA Sequential Art program at Savannah College of Art and Design, he moved back to White River Junction, Vermont, where he now works at the Center for Cartoon Studies teaching screen-printing and bookmaking. He is the author of Leo Geo and His Miraculous Journey Through the Center of the Earth, Leo Geo and the Cosmic Crisis, and Science Comics: Volcanoes with First Second. He also drew the art package for The Jetsons pinball machine from The Pinball Company and Spooky Pinball.